So, I know March ended a couple of weeks ago but... I still wanted to make this post. Better late than never, right? Today, I'm sharing the main things I bought during March. Since we got the move out of our hands, I finally had some budget for buying some fun stuff. And some kind of necessary stuff. Like I've told you in my Bucket List post, I'm passionate about switching more and more of my products into cruelty free ones. So, I'm currently on the hunt for the perfect shampoo and conditioner. 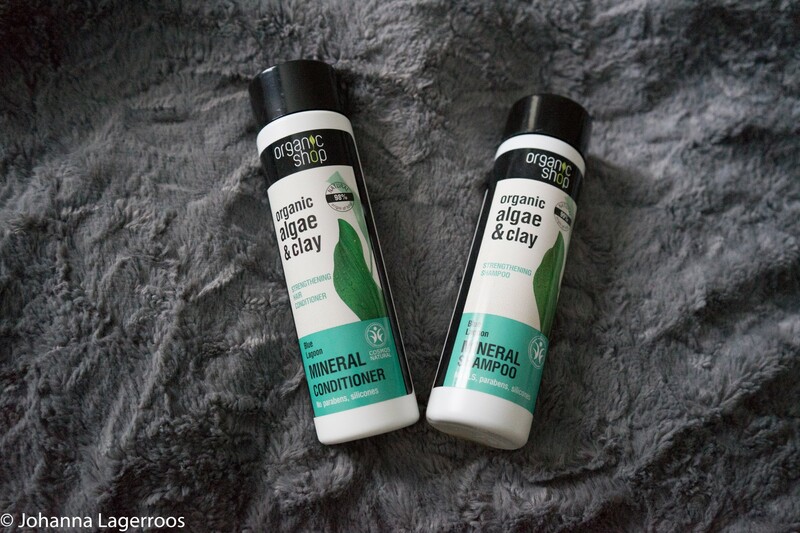 For my first try, I got these Organic Shop Blue Lagoon Mineral shampoo and conditioner. I've used these couple of times now (while still also finishing my previous products), and I must say that despite the herb scent which I don't care for that much, these do make my hair very soft and managable, so I might keep buying these later as well. I love that they don't have parabens and silicones in them, and that they are almost completely natural. From the same company, I got face scrub and body scrub. 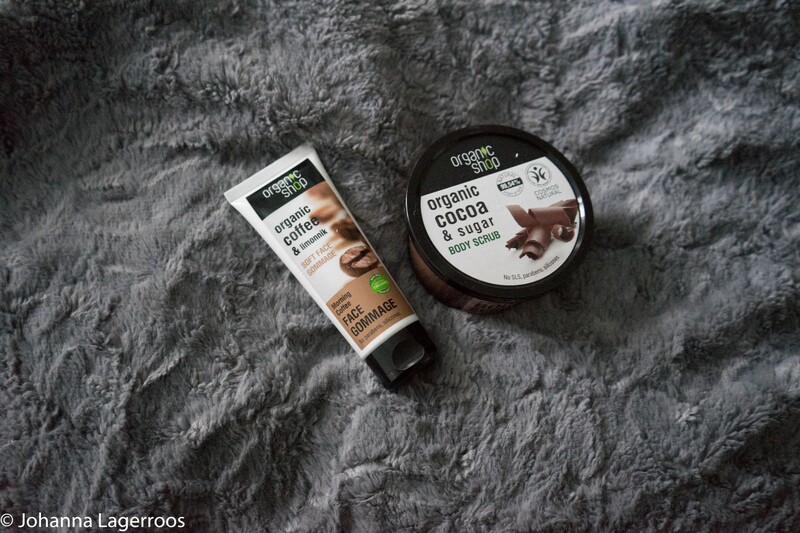 Both of which seem to work very nicely, leaving my skin smooth and not irritating it despite the scrubbing. The face scrub has been a help for my skin getting some acne lately from not so thorough cleaning. And they smell so nice! 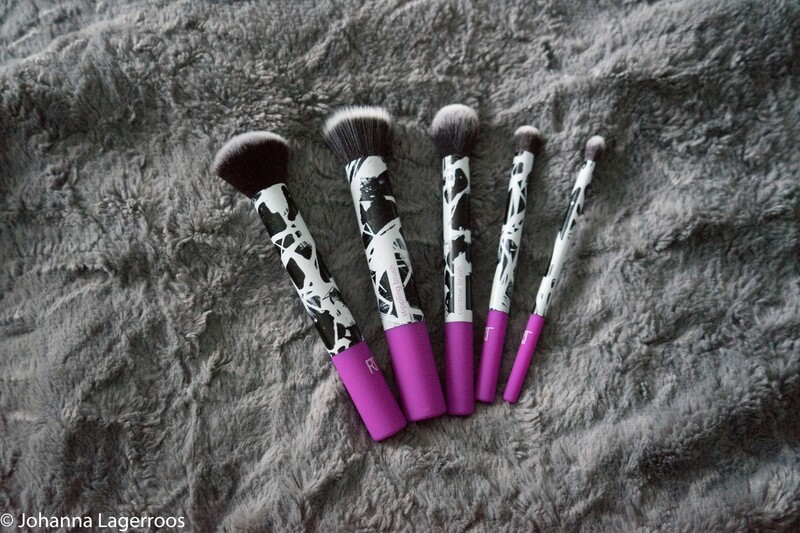 Since I wanted to know if switching my brushes to better ones makes a difference to my makeup, I got this cool brush set from Real Techniques. They are made from synthetic fibres so no animal were harmed in the process. They still are super soft and they work so much better than my previous Born Pretty store ones. Not to say you need expensive brushes to do pretty looks, but having ones from a good brand makes blending and overall working easier. This design was inspired by Berlin graffitis if I remember correctly, and it's a design that had won some Real Techniques competition. I had to get them because I loved the color scheme a lot. 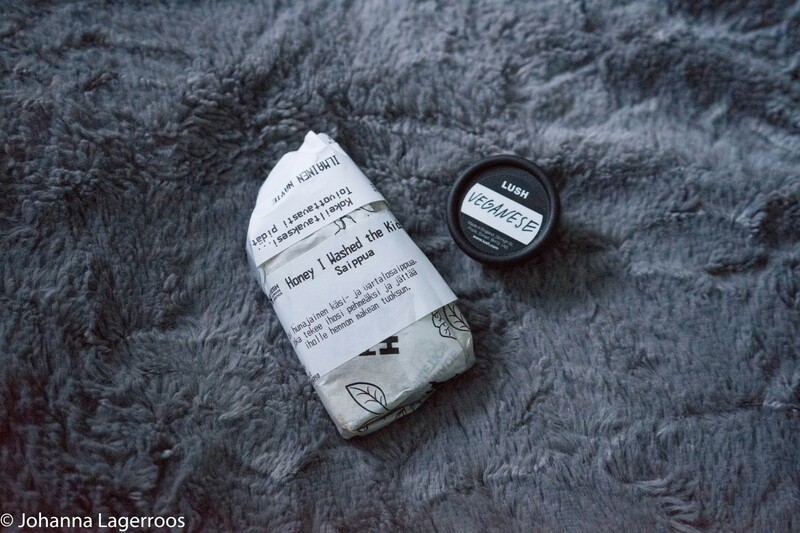 I also did some Lush shopping, and got two freebies with my order. Those were Honey I Washed the Kids soap and Veganese conditioner sample. Veganese seemed like a nice basic conditioner, but to be honest the smell wasn't my cup of tea. The soap is a really cool one, it doesn't have too overpowering smell and it leaves the skin soft. 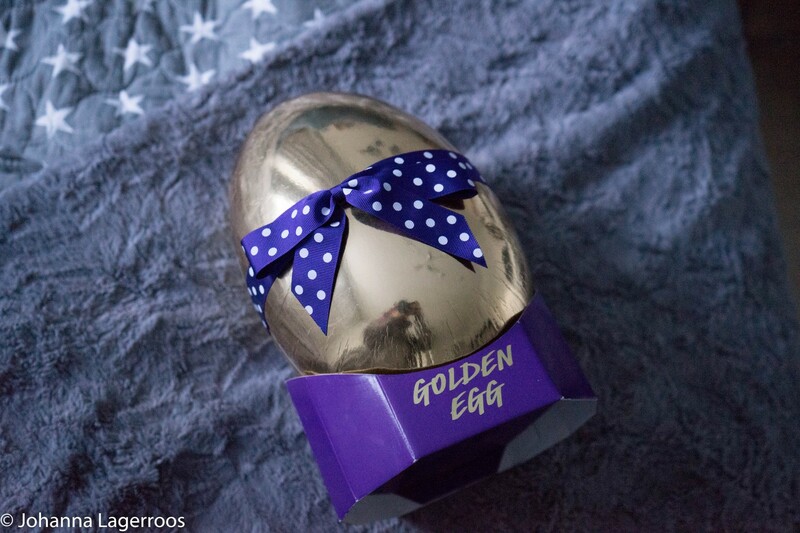 The thing I actually bought was the Golden Egg easter package. I loved how the packaging looked so I had to get this one. And to be honest even my boyfriend was a little excited to see this. Inside the egg were Which Came First?, Free Rangers, Golden Egg and Cream Egg. The mixture of scents was super overwhelming when opening the package, but individually they all smelled amazing. 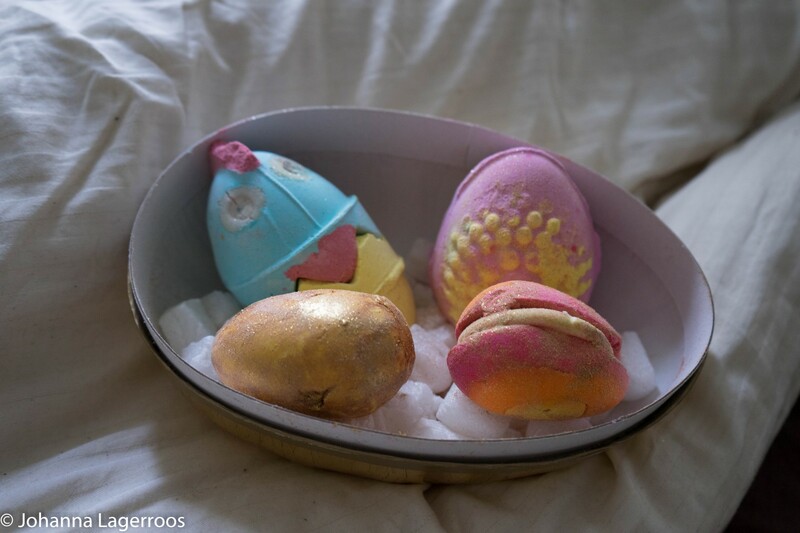 I haven't had the time to try these all out yet, but I know I'll love the Golden Egg despite it dropping glitter everywhere, and if the Which Came First? smells anything like before, like I think it did, that will be a favorite as well. I also placed a tiny order to HB Beauty Bar. I wanted to buy some NYX Cosmetics products that I wasn't sure if I could get from sops in Finland yet/anymore. 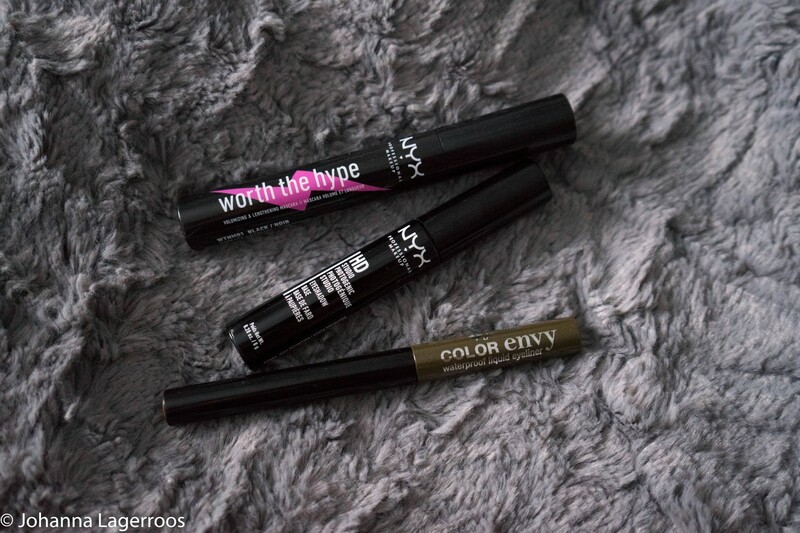 One being Worth the Hype mascara, which quite well lives up to its name. It makes the lashes quite bomb looking, even though I still prefer adding my false lashes. Secondly, I added eyeshadow primer because my old one was running out. As a freebie, I got Jordana liquid eyeliner in fun glittery gold color. To my happy surprise, it seems to be a cruelty free product, so I can happily use it. I've had it on a couple of times and even though it seems a little tricky to get even/not patchy when doing a wing, the color is very fun. And then the main thing I wanted from NYX. 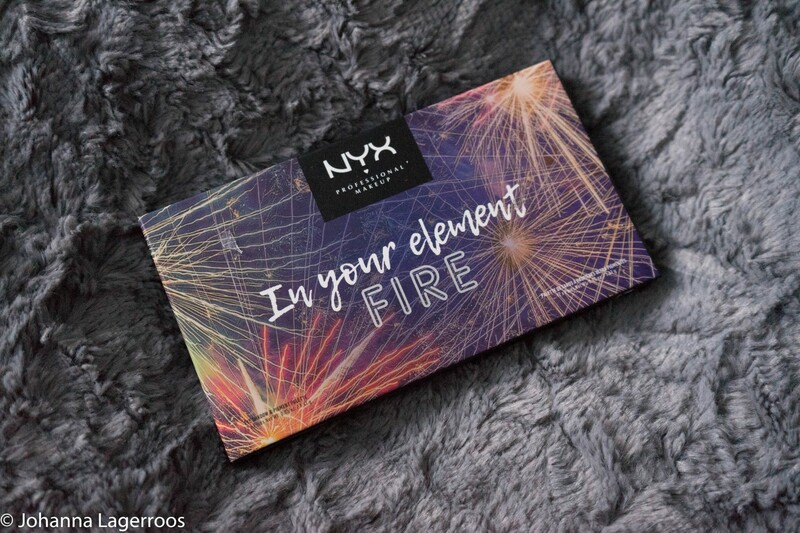 The In Your Element palette in Fire. I've been wanting a warm toned, not-that-neutral palette to try for a while now. (Very much inspired my Angelica Nyqvist on YouTube who uses fun colors all the time!) I absolutely love the packaging here as well. But I love the inside even more. The fire colors are so much fun to play with, and even though some of them are very bright, they are all very blendable at the same time. I've had a blast trying out looks with this palette, and I've done both subtle and neutral to bright and out there eye looks with this palette. 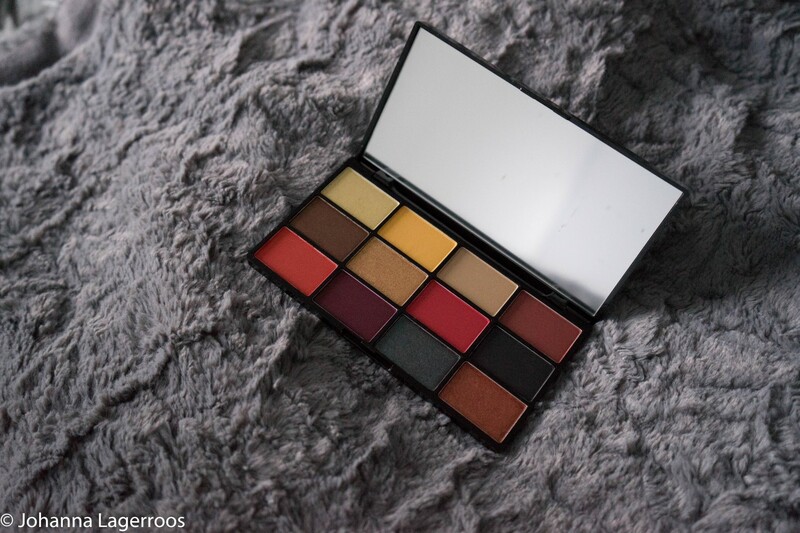 It has made me inspired to maybe look into some other colorful palettes as well, once I find some that have as inspiring color story as this one does. If you have suggestions, I'd love to hear them. 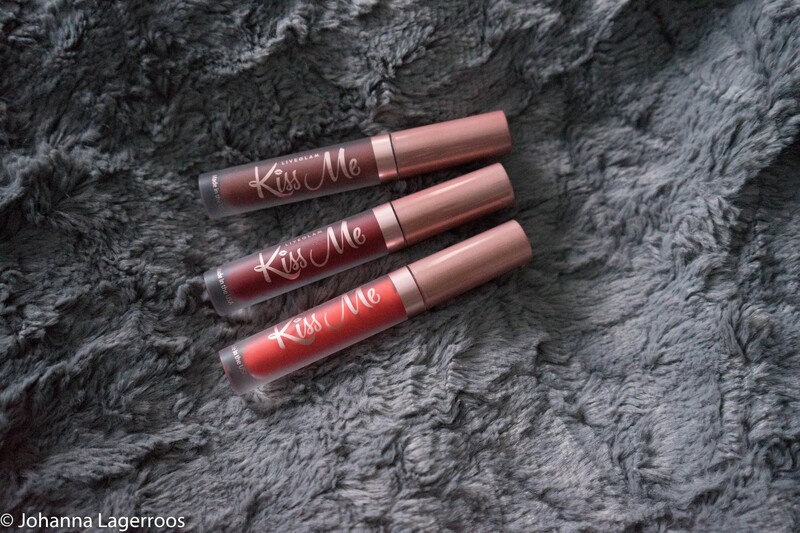 Of course I also got my Kiss Me package, this time including lovely red lippies. This edition was called Forsaken Kiss, and it included fiery orange red Crush, chocolatey brown Sugar Daddy and burgundy red Tease. As I tend to go for brigther colors on spring, I only have really tried Crush so far, since it also matches the In Your Element palette. It's a bit tricky to work with since it tends to be a bit patchy, but once you patiently apply two coats it looks really nice and bright on the lips. Lastly, something I bought with my Kiss Me points. 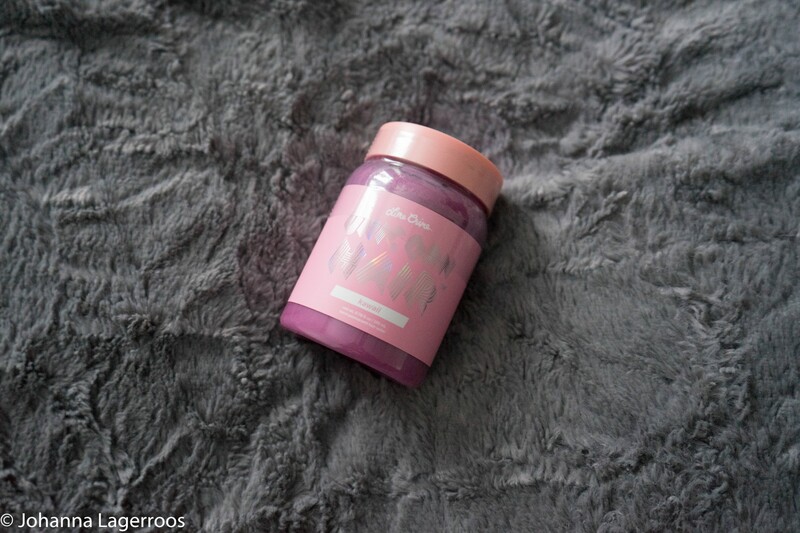 Lime Crime Unicorn Hair dye in the shade Kawaii. I haven't used this one yet, but I'm interested to do so in some point. I expect it would give a nice rose tint to my hair. What purchases have you made lately? Let me know in the comments! 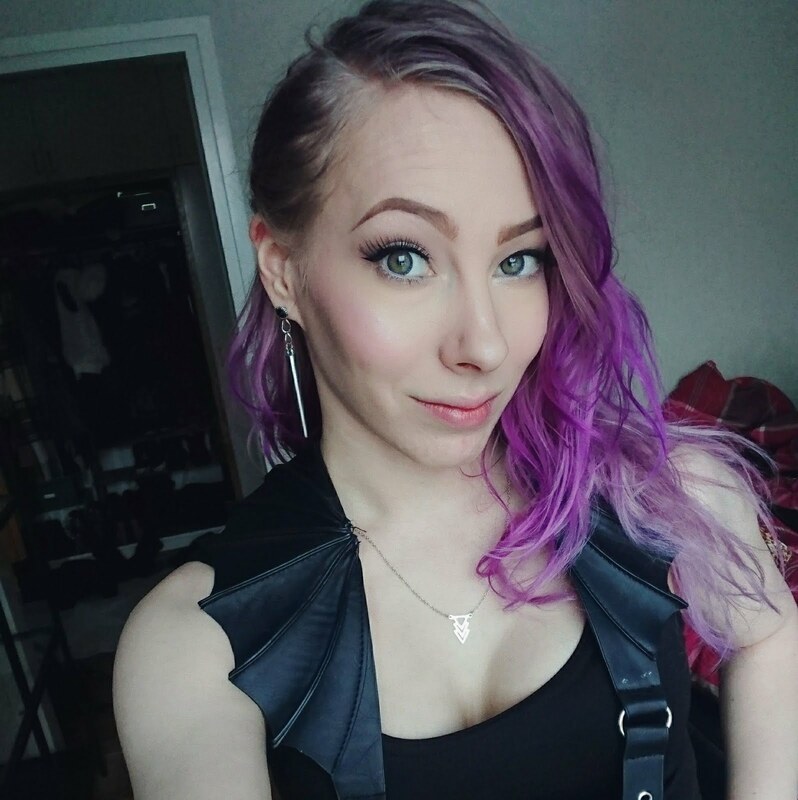 I little bit of news for those who may have been waiting for the outfit posts. I finally asked if my boyfriend would be willing to help me out with shoots, and he agreed to it. So once the weather gets better this week, We'll start taking outfit photos bit by bit. I'm super excited for that because the main reason I ever started blogging was to share my style and I've missed taking nice outfit pics. Also, it will bring better content for Instagram because I will have more than just mirror selfies from my looks. So be prepared for new and improved content starting next week!